The CAP flight instructor was conducting student training in the airport traffic pattern under Title 14, CFR Part 91. On short final the dual student deployed full spoilers, resulting in the glider touching down short of the runway. The nose wheel of the glider impacted the edge of the runway threshold, damaging the landing gear attachment and the fuselage. Alaska. The airplane was being operated by Civil Air Patrol Inc, Fairbanks, Alaska, as a visual flight rules (VFR) instructional flight under Title 14, CFR Part 91, when the accident occurred. The flight instructor and student pilot were not injured. Visual meteorological conditions prevailed, and no flight plan was filed. instructor wrote that he was providing instruction to the student pilot, and that on short final the student deployed full spoilers causing the glider to touch down short of the runway threshold. He wrote that the nose wheel impacted the leading edge of the runway, which damaged the nose wheel mount and fiberglass fuselage. According to the pilot, there were no known mechanical anomalies with the glider prior to the accident. The National Transportation Safety Board determines the probable cause(s) of this accident to be: The dual student’s misjudged distance/altitude during the final approach to land, and the flight instructor’s inadequate supervision of the student, which resulted in an undershoot, and substantial damage. 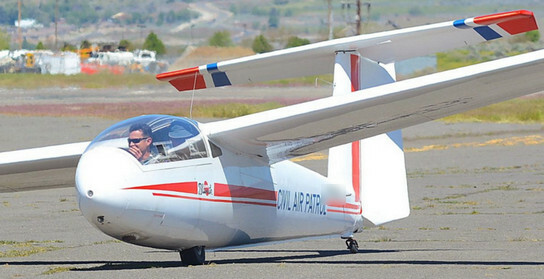 Be the first to comment on "Alaska CAP Glider Crashes Short of Runway"